"The Pink and Blue Projects were initiated by my five-year-old daughter, who loves the color pink so much that she wanted to wear only pink clothes and play with only pink toys and objects. I discovered that my daughter’s case was not unusual. 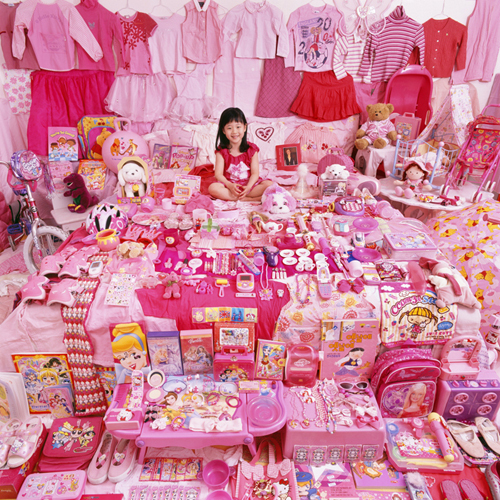 In the United States, South Korea and elsewhere, most young girls love pink clothing, accessories and toys. This phenomenon is widespread among children of various ethnic groups regardless of their cultural backgrounds. Perhaps it is the influence of pervasive commercial advertisements aimed at little girls and their parents, such as the universally popular Barbie and Hello Kitty merchandise that has developed into a modern trend. Girls train subconsciously and unconsciously to wear the color pink in order to look feminine." "The differences between girls’ objects and boys’ objects are also divided and affect their thinking and behavioral patterns. Many toys and books for girls are pink, purple, or red, and are related to make up, dress up, cooking, and domestic affairs. 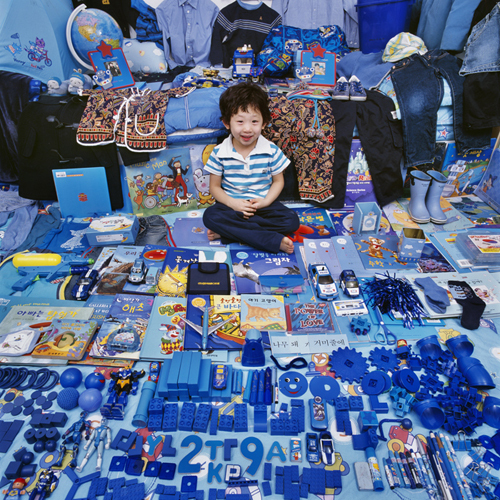 However, most toys and books for boys are made from the different shades of blue and ? are related to robots, industry, science, dinosaurs, etc. This is a phenomenon as intense as the Barbie craze. Manufacturers produce anthropomorphic ponies that have the characteristics of young girls. They have barrettes, combs and accessories, and the girls adorn and make up the ponies. These kinds of divided guidelines for the two genders deeply affect children’s gender group identification and social learning."